This is a hands on look at More Beer’s 6 Gallon PET Plastic Carboy. Here it is filled with More Beer’s Zythos IPA Kit. Here is is filled with More Beer’s Pliny the Elder Kit – See: Brewing Pliny. I think that More Beer slightly under reports the capacity of this fermenter. By my measurements, 5 gallons is at the very top of this fermometer strip. The current water line in this photo, again by my measurements, is 6.25 gallons. In this photo, the fermenter is chock full. 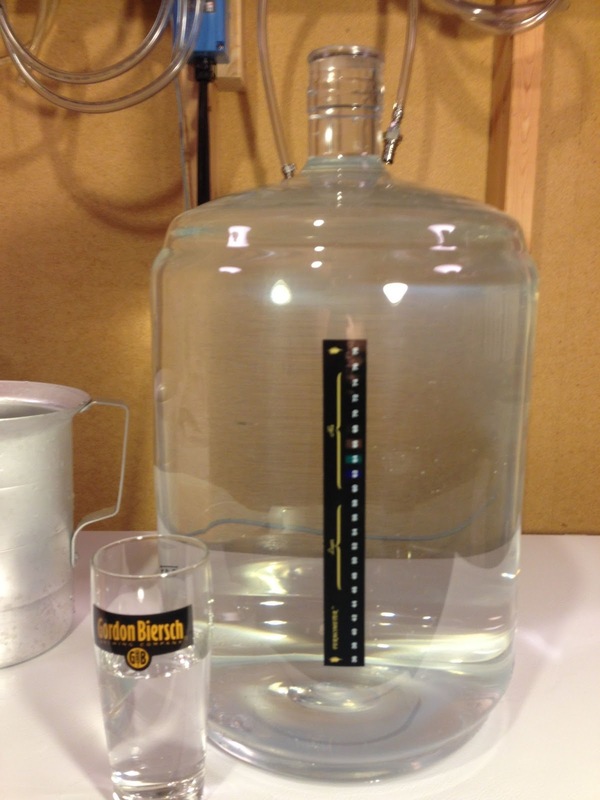 The amount in the fermenter + the amount in the pictured glass come out to 6.5 gallons. This has close to a 6.5 gallon capacity. Again, all by my measurements. These are not official specs. Pictured with the recommended #10 stopper installed. I feel like the #10 stopper is just a tad undersized. When the temperature dropped towards the end of fermentation on the Zythos IPA, the stopper got sucked in a little bit. I was able to get it out without issue, but I’m concerned that cold crashing would pull it in completely. 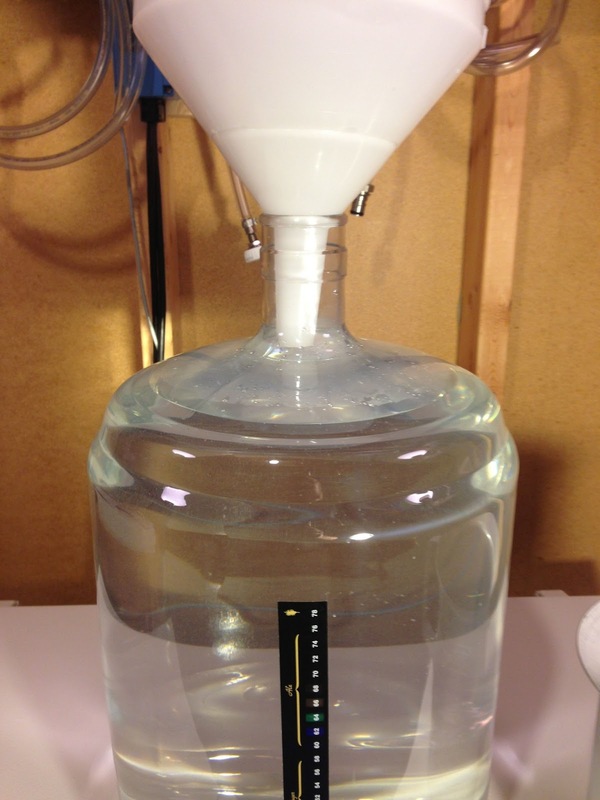 Fortunately, there is an easy solution… the 5 gallon carboy hood FE500 fits and works great. I will say that the product description says that this works with a #10 stopper but the “You Might Also Need” section links to a #10.5 stopper so maybe this is an issue that’s been recognized. Either way, I’d suggest considering the carboy hood. In my opinion, this carboy is super easy to clean. This picture is after fermenting the Zythos IPA. It looks like new! Here’s how I cleaned it: 1. Dump out trub and thoroughly rinse with hot water. This carboy is light and it’s not going to break. That means you can easily pick it up and shake it with a bit of water in it to get most everything off. 2. Soak with PBW and hot water overnight. I used 3 ounces. 3. Empty and rinse. 4. Spray with a few squirts of Star San. Star San contains a surfactant that produces a sheeting action to reduce or water spots. I spray a few squirts and then add a little bit of water. Shake the carboy to coat all surfaces. 5. Drain the carboy upside down to get the majority of water out. 6. Place the carboy upright to finish the drying process. This dries everything out much more quickly than when the carboy is inverted. I think this carboy is a great fermenter option. I like how it is light, safe (no breaking glass) and easy to clean. 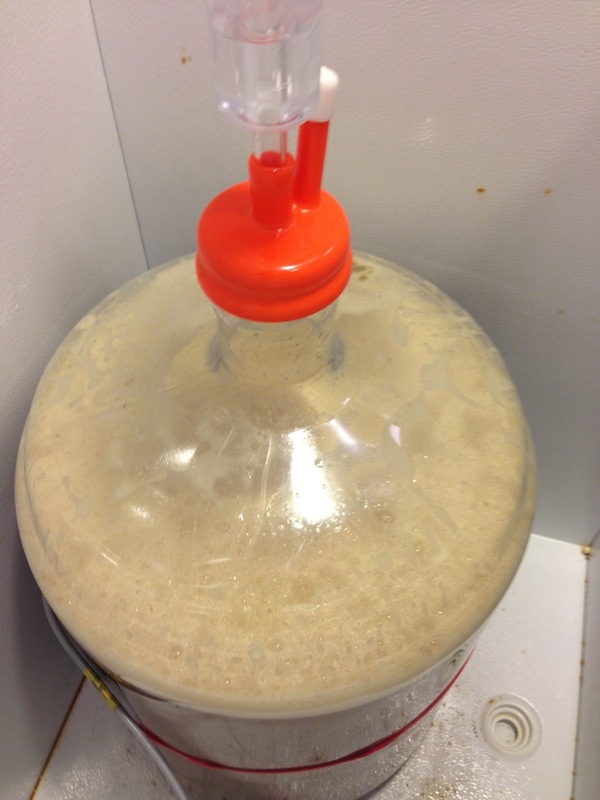 This entry was posted in Carboys, Featured Reviews, Fermentation, Fermenters, HBF Tested, More Beer, Reviews, Reviews & Top Posts on May 24, 2013 by admin.